Jumbo Ambient Back Light for TV or Home Theater RGB Kit with Remote - VOLKA Lighting Pty Ltd.
Latest Multicolor LED Technology up to 16 million colors. The strips are miniature (10mm wide and 3mm deep) but extremely bright and efficient. The kit is very easy to install, 5 simple steps, takes no more than 5 min. Convenient control with 24 key remote. 16 static colors and 4 dynamic modes (3 color step, 7 color step, 7 color fade, All fade). Select a position for the fitting. 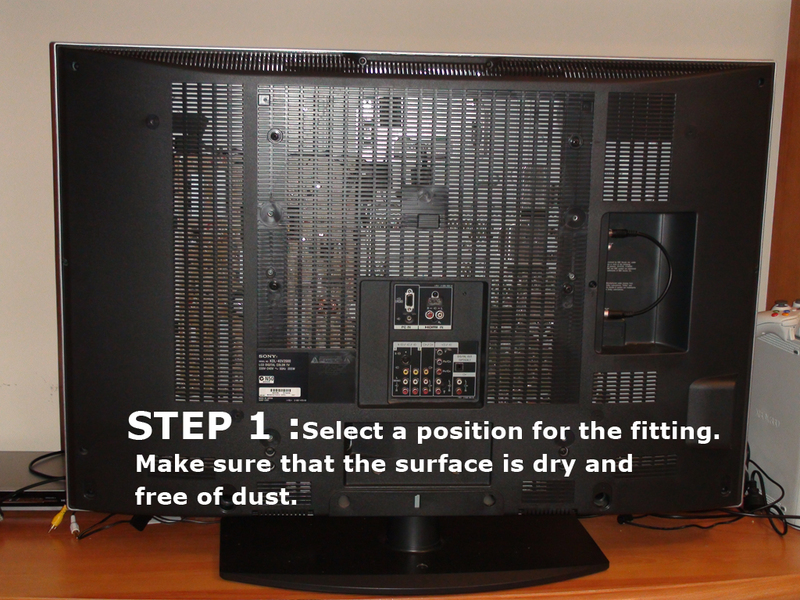 Make sure that the surface is dry and free of dust. 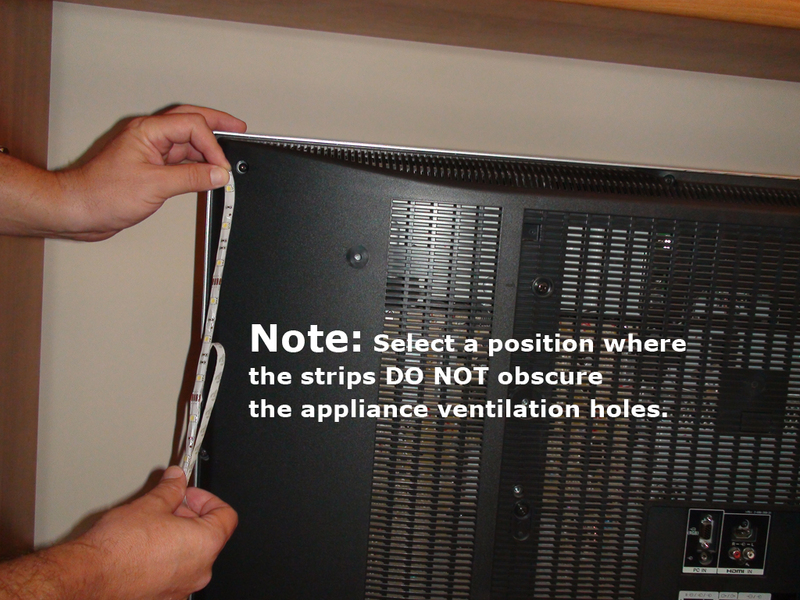 Note: Select a position where the strips DO NOT obscure the appliance ventilation holes. 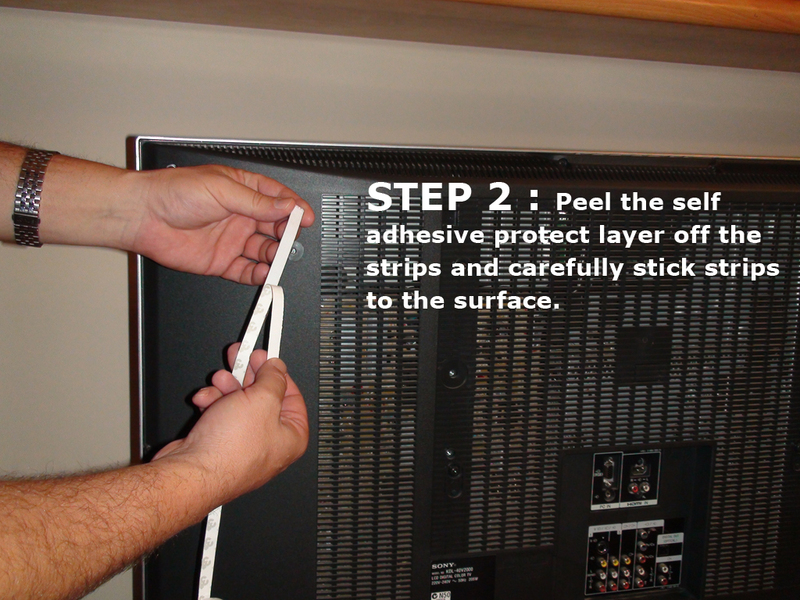 Peel the self adhesive protect layer off the strips and carefully stick strips to the surface. Connect strips to the control unit. 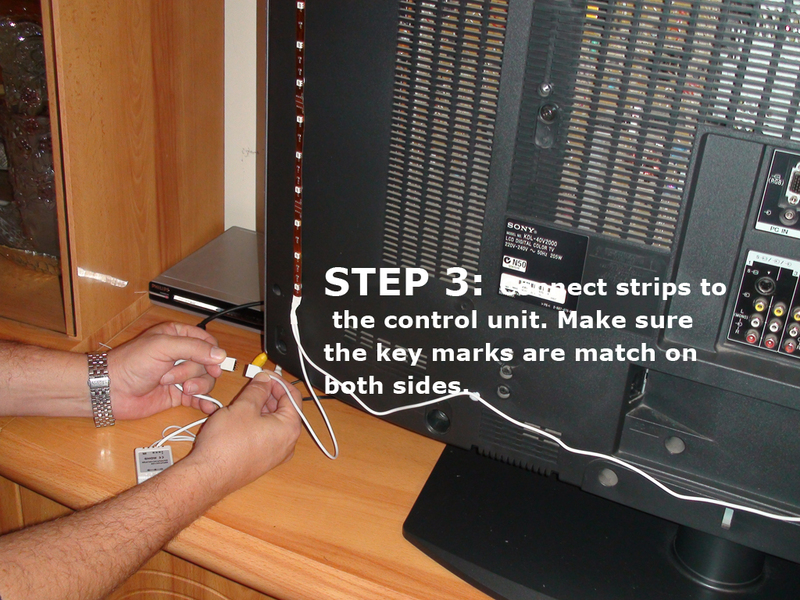 Make sure the key marks are match on both sides. 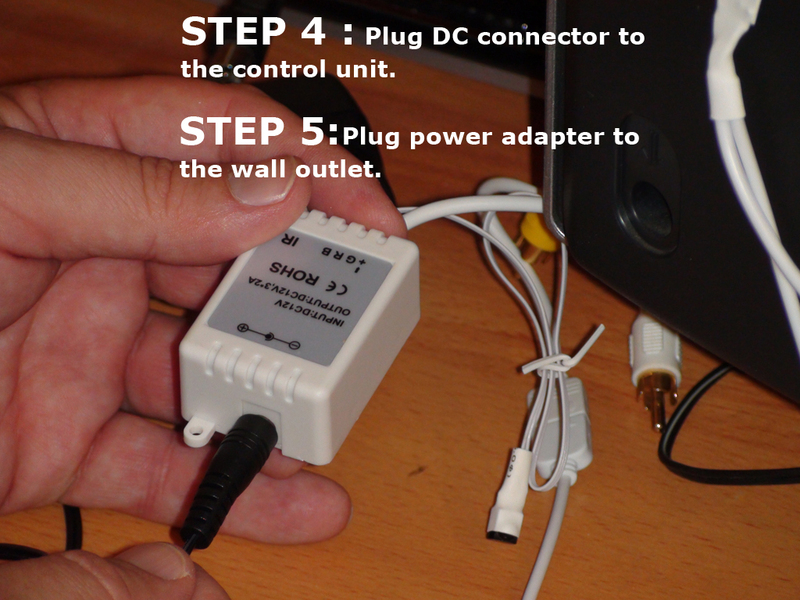 Plug DC connector to the control unit. Plug power adapter to the wall outlet. Easy to install, love the colour change. Great it came with remote which is small and also easy to use. 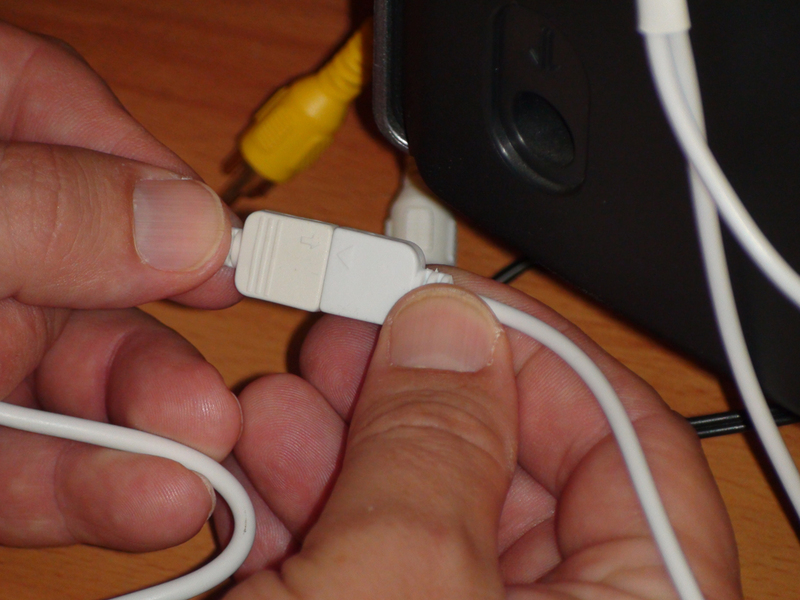 Easy installation, joining connectors needed to be taped to secure connection. Good to see the remote comes with a battery. 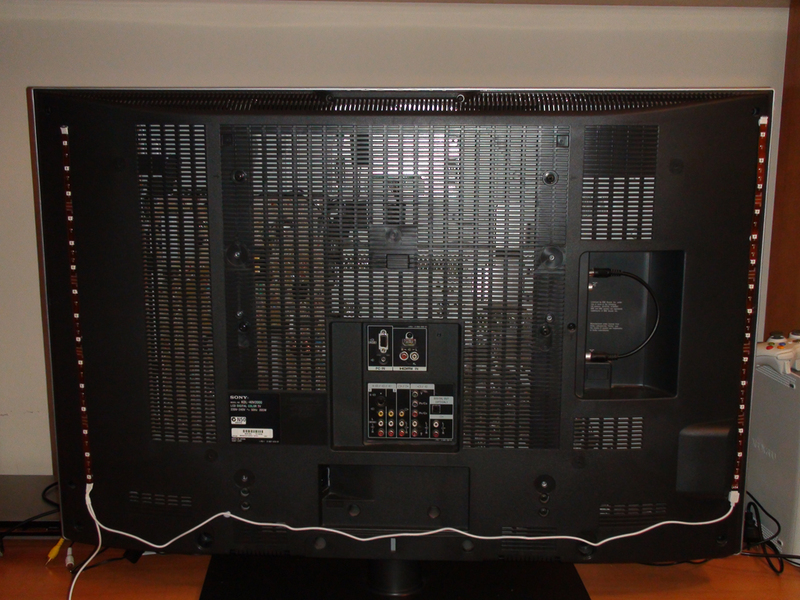 Click the button below to add the Jumbo Ambient Back Light for TV or Home Theater RGB Kit with Remote to your wish list.